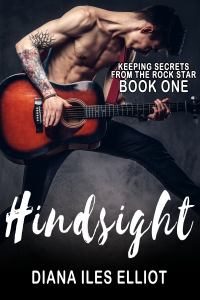 Posted on December 14, 2018 by Diana Iles ElliotLeave a comment on Hindsight Sneak Peek! Nick Hannigan has it all. He’s a handsome rock star with a successful band, a beautiful wife and an adorable daughter. Not bad for the kid no one thought would make it. But Nick is caught in the past and the distant memories of first-time love. Getting in touch with an ex ten years after a bad breakup reveals secrets Nick couldn’t have begun to imagine and lies he can’t begin to comprehend. A bittersweet reflection between the past we have and the future we want. Can anything be changed with hindsight?